Since the introduction of the new Ford Mustang GT in 2005, there's been a buzz everywhere. 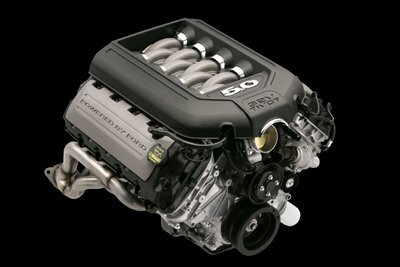 And the performance and quality updates in the 2011 and 2012 models take it to another level. The new Ford Mustang revived the pony car, not just for Ford enthusiasts, but for the other pony car makes too. The fact that the car named after a famous and fast American pony came to define a whole new generation of vehicles is something in itself, and the newest 2012 GT version of the famous Mustang takes the lead yet again. The fact that the car named after a famous and fast American pony came to define a whole new generation of vehicles is something in itself, and the newest GT version of the famous Mustang takes the lead yet again. What makes it a Mustang GT ? Today, driving a GT means you're at the helm of a fire breathing 5.0 liter Coyote V8 engine, introduced in the 2011 Mustang. This new engine, in stock form arrived with an amazing 412 horsepower, without the need of a turbocharger or a supercharger. It was also one of the most fuel efficient V8 Mustang GT's ever made. Correction. It was the most fuel efficient GT ever made! The new Ford Mustang GT styling accentuates it's muscular nature. From the front, you notice the aggressive fascia, accented by it's twin center lights mounted in the grill, looking much like the original 1965 Mustang GT's center mounted fog lights. For the 2012 Ford Mustang GT 2012 Ford Mustang GT model and specifications, you won't find major changes in the overall design. Rather, you'll find slight modifications to the front fascia and at the rear, a small lip spoiler. Covering the lower rocker area and lower half of the rear fascia (bumper) is a dark accent piece, surrounding the twin chrome pipes. Big news for the new Mustangs, however is the addition of some familiar named packages for the 2012 Mustang, including the Boss 302 , Boss Laguna Seca and the race track only Cobra Jet Mustang . And what you get, is far from just a styling package. These are serious improvements, fresh from the race tracks and drag strips of North America. The interior of the new GT Mustang, combines the upscale styling and improved fit and finish (compared to earlier years) with tasteful paint and chrome accents extras that dress up the basic pony car interior. Ah yes, that sweet Mustang 5.0 Coyote engine. Five liters of high revving fun. When you consider that no stock Mustang made has ever been more powerful, that's really saying something! The first incarnation of the new Mustang GT boasted 300 horsepower. That was a milestone too. But some of those pony cars from the 70's had over 300 horsepower you say. Yes, but that was horsepower at the flywheel, not at the rear wheels. After all those parasitic losses in the drivetrain, you didn't get all of those ponies at the wheels. In practical terms, this means that a new Ford Mustang GT with a small block engine, now has more power than most, if not all of those big block behemoth's from the 70's. And the gas mileage is almost twice that of the old guys. The new Coyote engine makes use of the latest in engine technology to kick up performance and post impressive fuel economy (mpg). Strangely, while the 2011 Mustang offered 412 horsepower ( very conservatively estimated see 2011 mustang dyno results ), the 2012 Mustang GT specs out at 412 horsepower at 6,500 rpm and 377 lbs of torque at 4,250 rpm. The EPA fuel economy specifications for the new Ford Mustang GT 2012 model, is 17 mpg city and 26 mpg highway for the 6 speed manual transmission and 18 mpg city and 25 mpg highway for the optional six speed automatic. Is the New Mustang GT for You? If you want supercar performance, retro chic pony car looks and a ton of quality improvement, a new GT is hard to beat. And you can expect a very good resale value too. In fact, the Kelly Blue Book Best resale value award in the high performance class for the 2011 models, went to the new Ford Mustang GT.